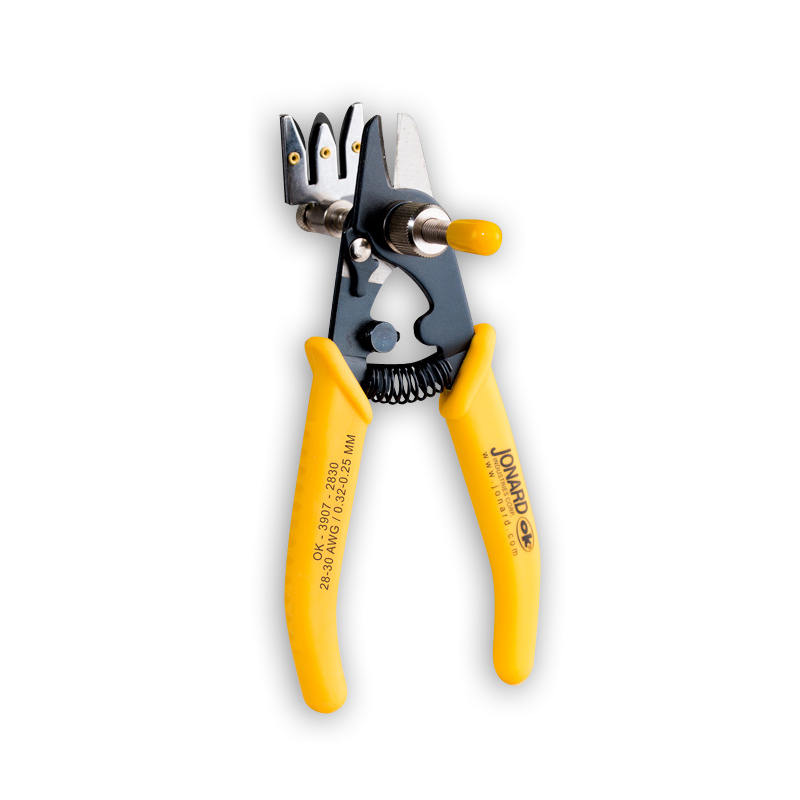 Jonard OK-3907-2224 Adjustable Precision Wire Strippers 22-24 AWG. The OK-3907 Series wire strippers from OK Industries is the industry's leading cut-and-strip tool for copper interconnect applications. 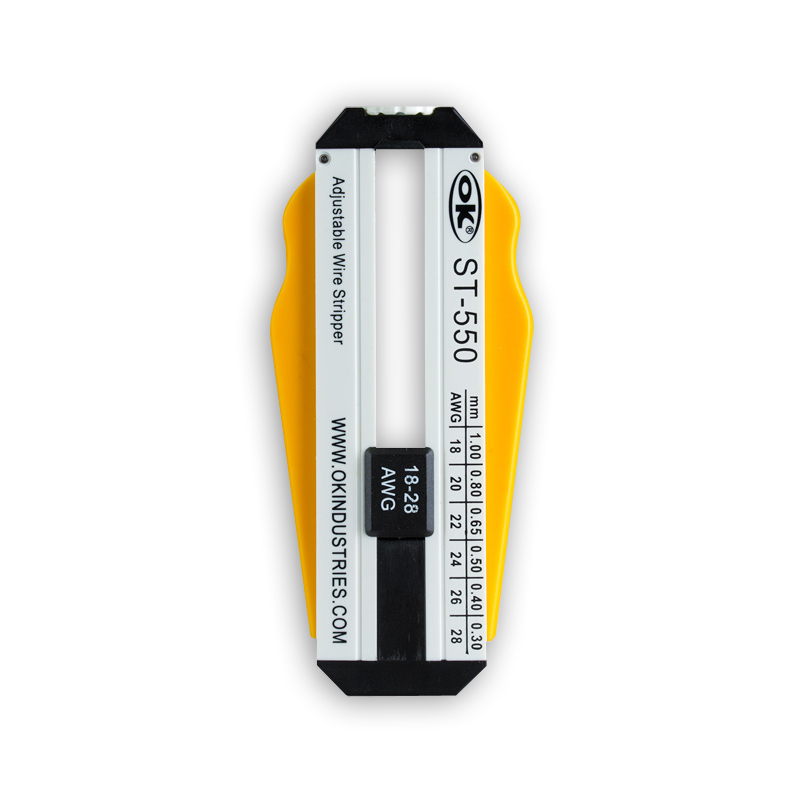 Installers and telecom technicians enjoy its rugged construction, comfortable rubber grips, and high-leverage handle design, which allows time savings through the simultaneous cutting of multiple wires. Blades are made from specially tempered spring steel for clean, nick-free wire stripping. 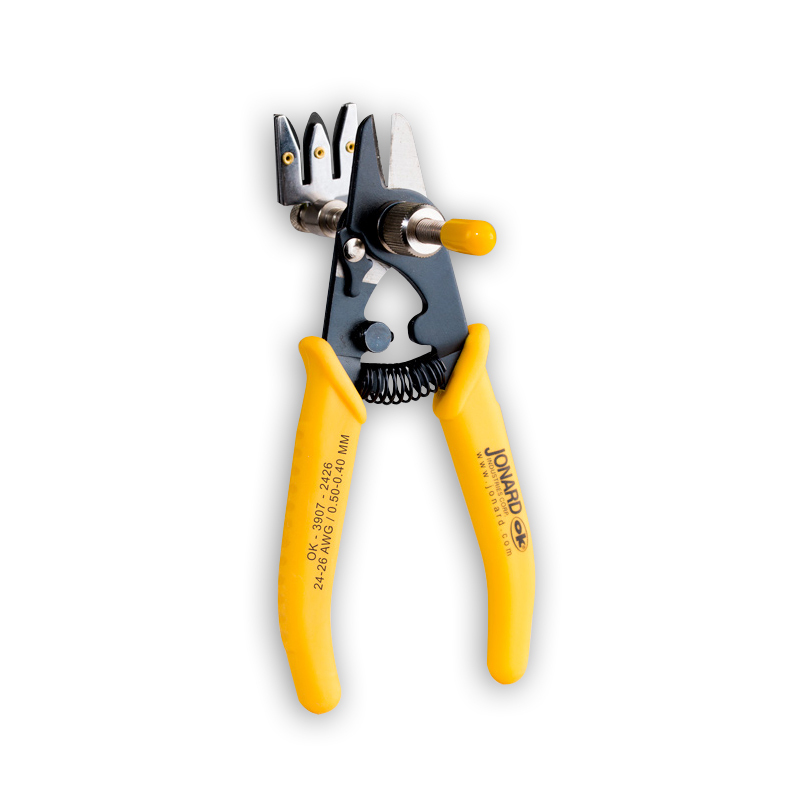 Jonard OK-3907-2426 Adjustable Precision Wire Strippers 24-26 AWG. The ST-500 and ST-550 Adjustable Precision Wire Strippers feature an adjustment dial that allows the operator to select one of six different wire gauge settings.